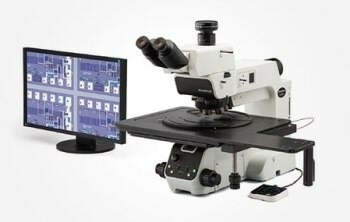 The Olympus BX51-P polarizing microscope is ideal for investigative purposes covering identification of isotropic and anisotropic materials, polymer/thin film/crystal identification, forensic analysis, and extraneous particulates. 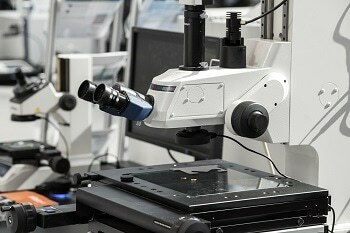 The advanced design and manufacturing technology of Olympus has enabled the new ACHN-P and UPLFLN-P strain-free objectives to minimize internal strain. 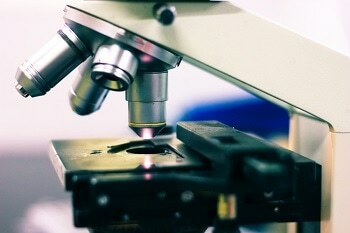 The company has further improved the performance of the microscope in polarized light by redesigning its polarizers and polarizing condensers. This ensures extraordinary image brightness and contrast with higher EF value, which is the ratio of brightness of parallel Nicols to orthogonal(Cross) Nicols. The strain of the optical system is less at high EF values. The Y-shape frame enables observations to be carried out in a comfortable and efficient manner, reducing the fatigue levels in operators. 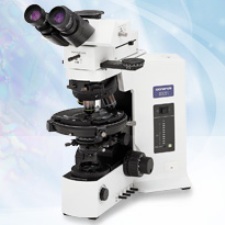 The BX51-P has a larger field number which provides a 21% wider area when compared to other microscopes with ordinary field number 20. 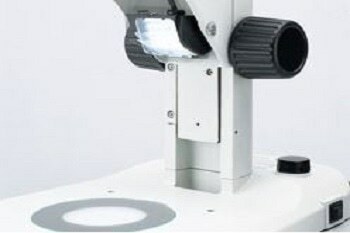 Using a 12V to 100W bright halogen lamp in the illumination system enables observation of clear polarization images. 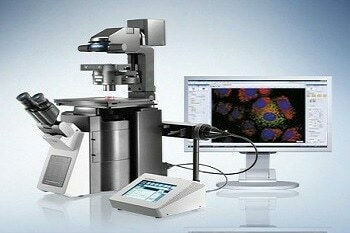 The rotary stage is equipped with a rotating-centering mechanism to enable smooth rotation of sample. 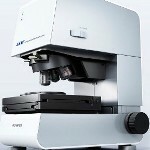 A click-stop mechanism is provided at each 45° for accurate measurement. An optional dual-mechanical stage allows discreet x-y movement. 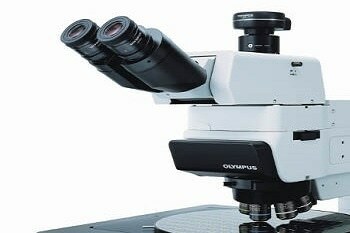 The BX51-P microscope is provided with six different compensators to allow measurement of a range of retardation levels from 0 to 20λ. A Senarmont or Brace-Koehler compensator provides higher image contrast to alter the retardation level in the whole field of view. 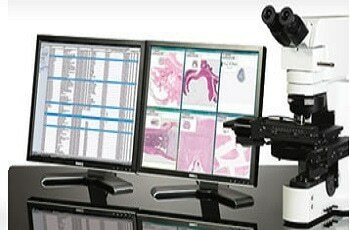 A U-CPA conoscopic observation attachment allows easy and rapid transition between orthoscopic and conoscopic observations. 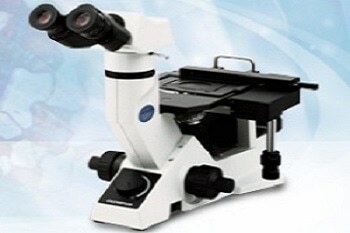 In addition, Bertrand field stop can be used to achieve consistently clear and sharp conoscopic images. 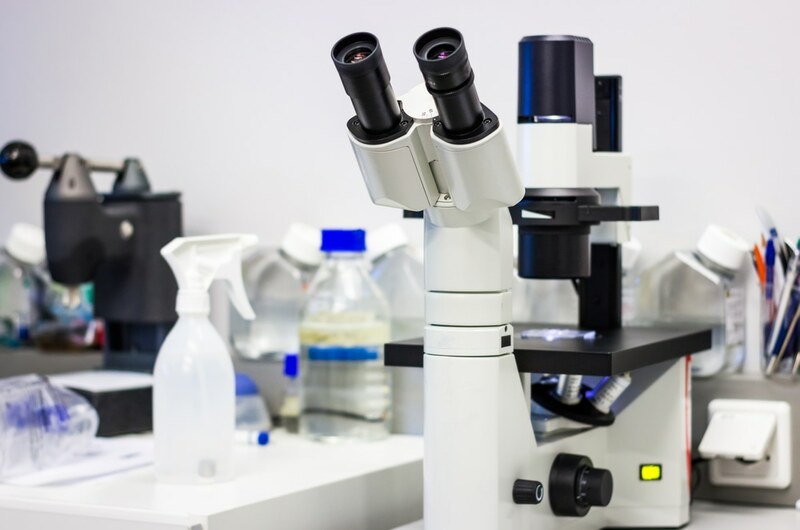 OLYMPUS Image Analysis Software includes intuitive menus and advanced software routines ideal for specific industrial microscopy applications.